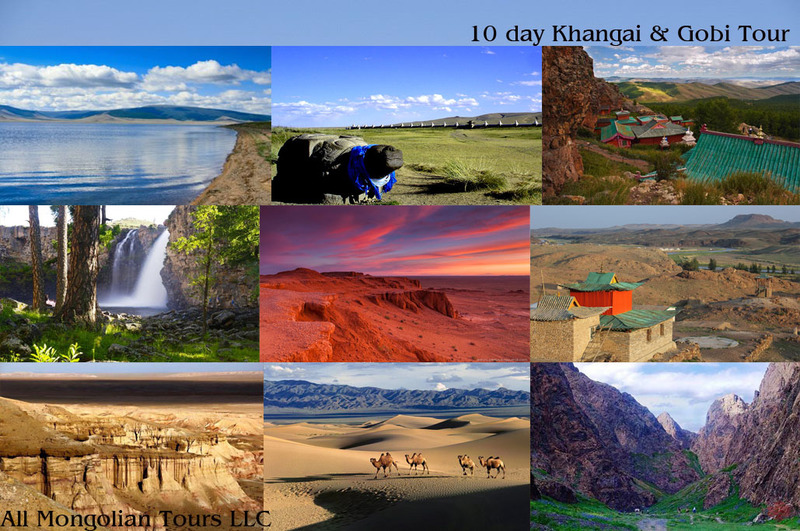 Tour introduction: Khangai & Gobi tour enables you visit and see must see attractions including Gobi and Central Mongolia. You will have chances to take picture wherever you want, taste Mongolian cuisine, ride camel and horse, hike, climb mountain, listen to Mongolian music, buy local souvenirs. Have a nice journey with our team! Day 6. 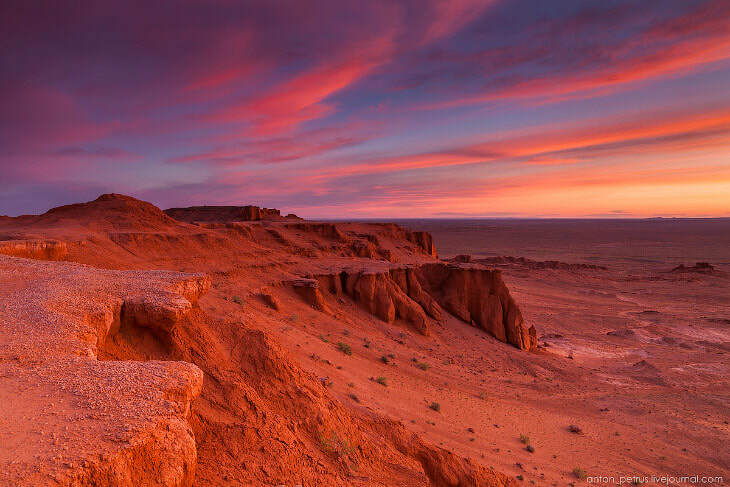 Ongi Monastery - Bayanzag Flaming Cliffs: Today we will drive to Bayanzag Flaming Cliffs for 108km among Mongolian south gobi. You will see lots of camels on the way and gobi trees. Before going to the cliffs, you will settle down in ger camp and have lunch there.